Chicago-based David Leggett’s unique combination of humor and pop culture often results in work that packs an unexpected political punch. Here, a figure in a black and white striped zebra pattern (with clearly Caucasian eyes underneath) celebrates in an island setting. 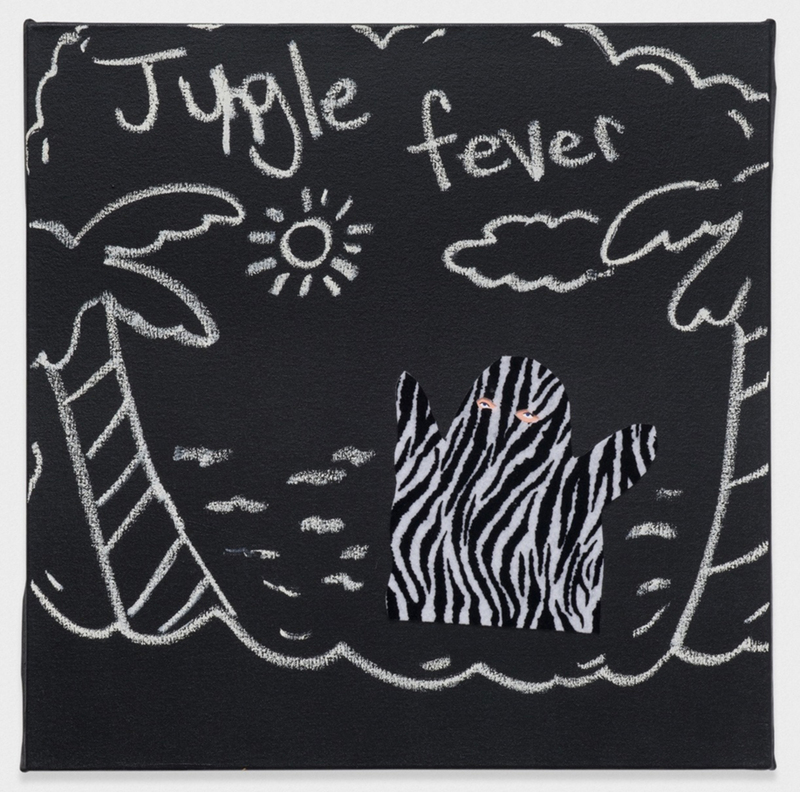 “Jungle Fever” — the slang term for when a white person is attracted to a black person — floats playfully above, announcing the scene as if in a children’s book. Leggett’s sly presentation of the scene lays out an issue that has comic pop culture associations, as well as complicated social implications that find their source in America’s racist past. Leggett’s work has been shown in solo and group exhibitions throughout the US.